Current workflow languages for web services suffer from poor support for separation of concerns. Aspect-oriented software development is a well-known approach to improve this. In this paper, we present an aspect-oriented extension for the WS-BPEL language that improves on current state-of-the-art by introducing an explicit deployment construct, a richer joinpoint model, and a higher-level pointcut language. In addition, the supporting technology is compatible with existing WS-BPEL engines. Classification. 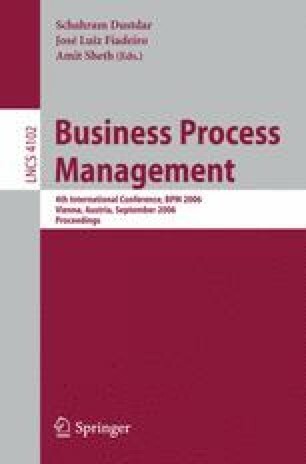 Business process modeling and analysis, processes and service composition.